This is a late update for this week but I took Friday off. 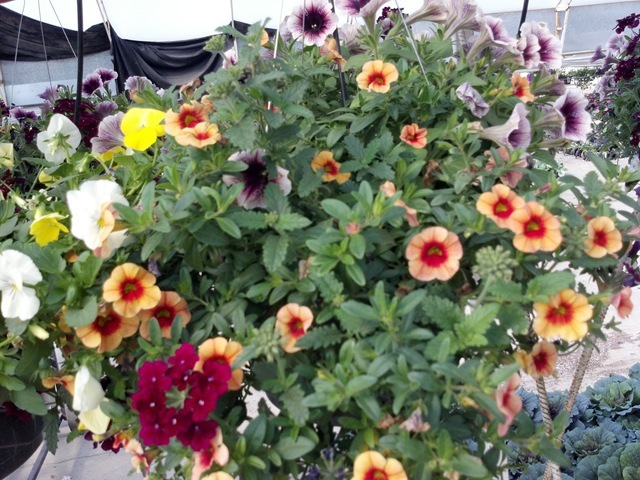 Hey, I deserved it. 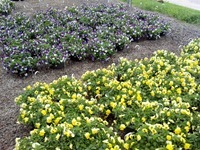 Here are what the pansies and other fall color is looking like now. 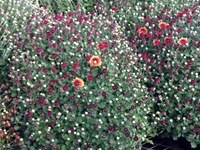 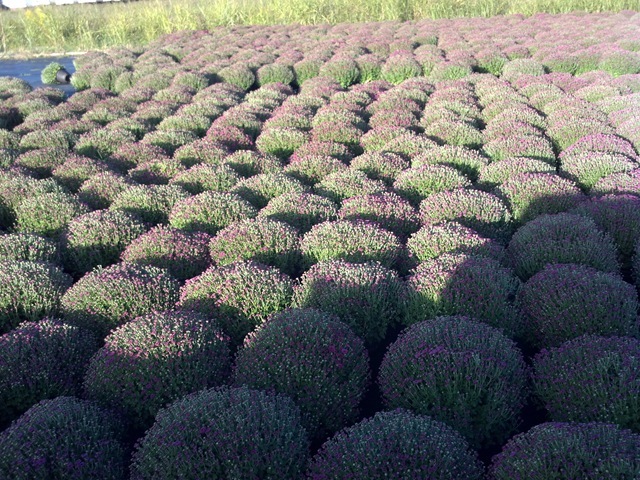 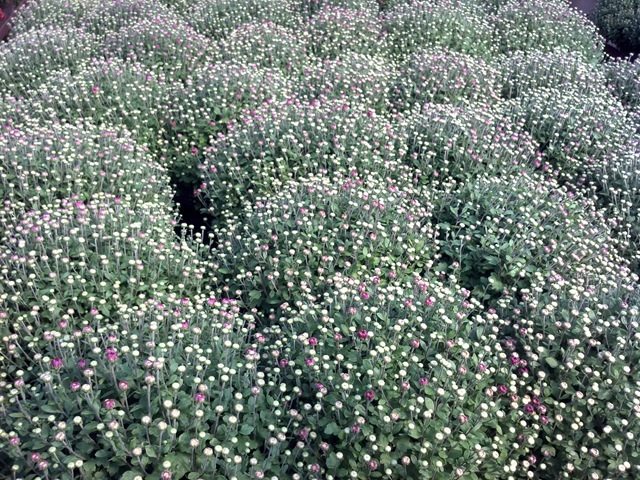 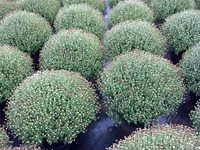 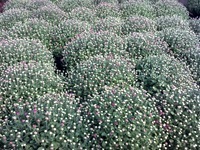 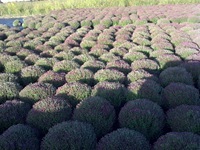 We have a few 12” Bronze mums left but I did not get back to get pictures of them. 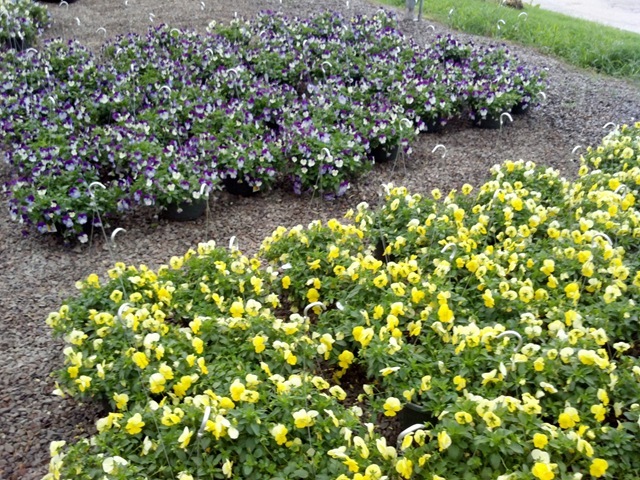 It has taken me all day just to get these. 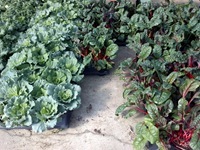 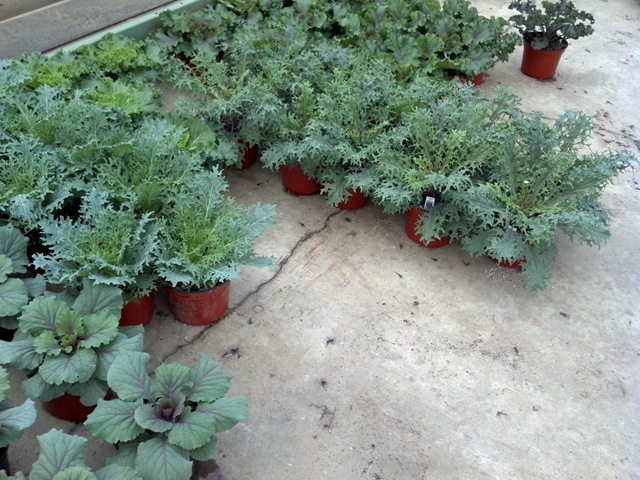 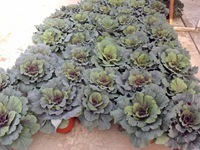 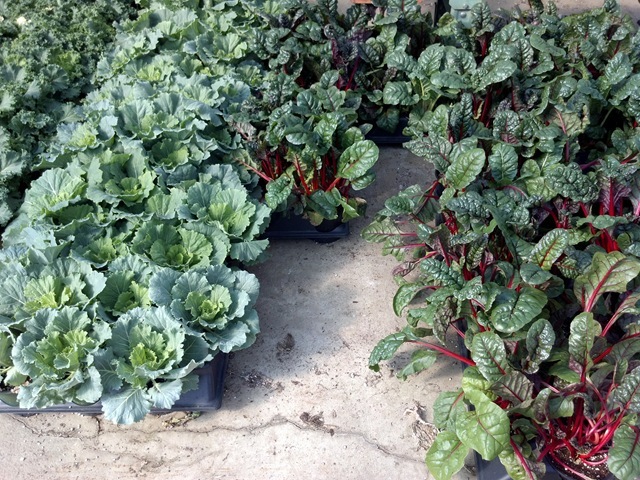 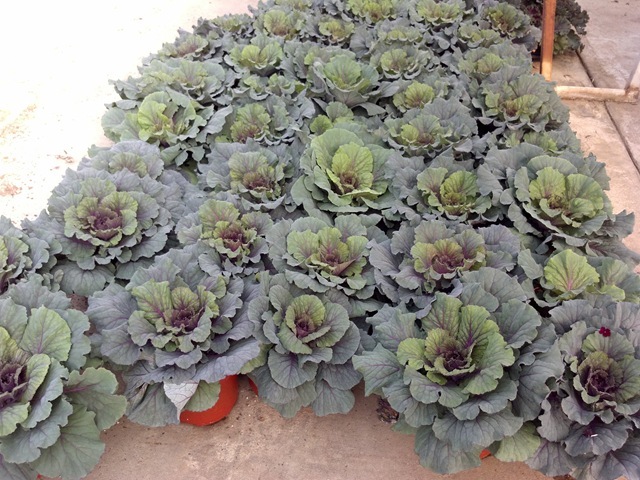 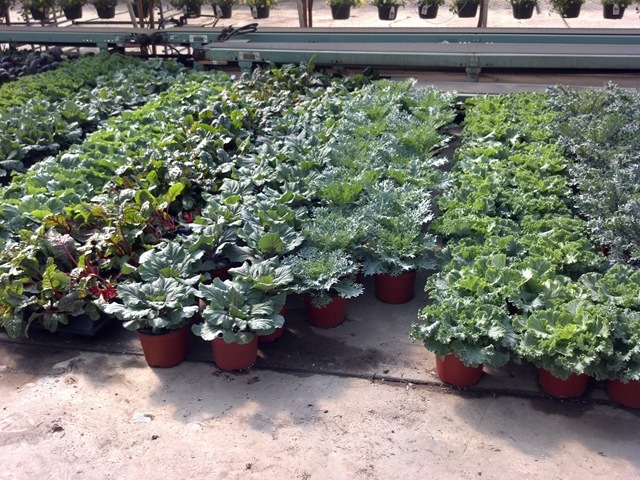 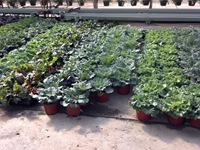 We have some great looking #6 and #8 ornamental cabbage, ornamental kale, red bor kale and swiss chard. 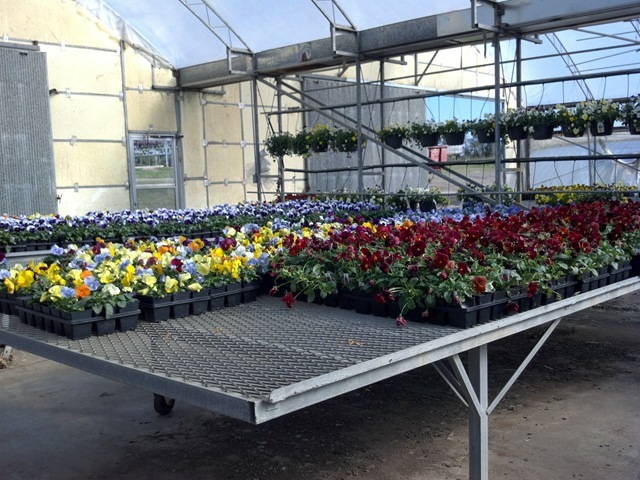 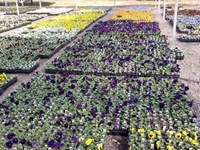 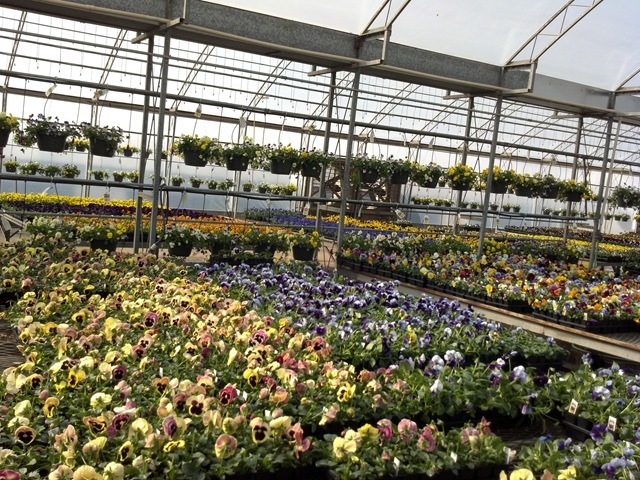 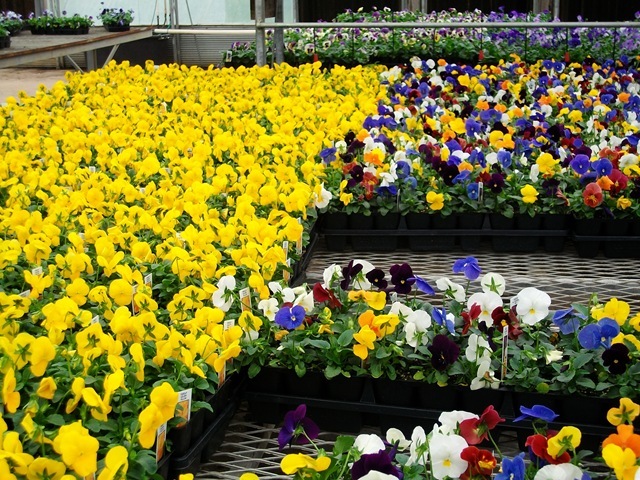 What colors we do have left in the #4 (1801) and J6 pansies, panolas, violas, petunias and alyssum all have good color and look great too. 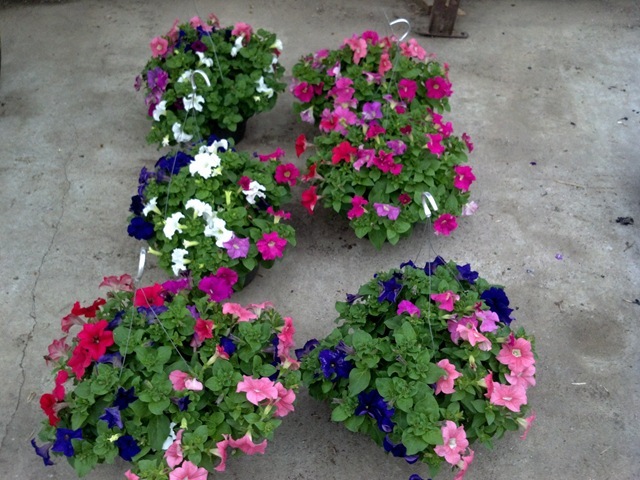 All Baskets are now on discounted even more. 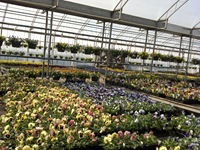 Check out our availability for prices. 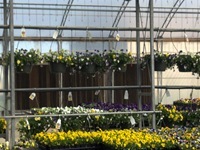 Thursdays are usually the day I double check and add in inventory numbers then work on the blog post on Friday mornings. 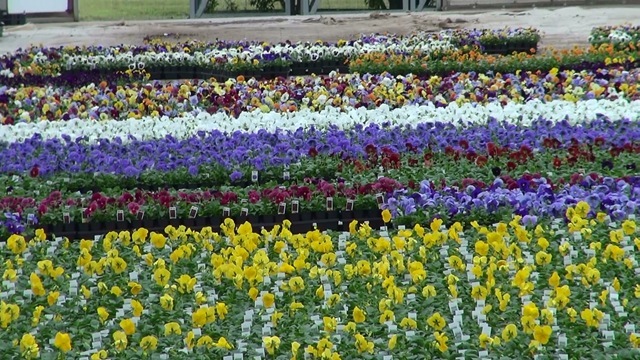 Since we are down to the very end and all the inventory numbers are keyed in I went to the Greenleaf Nursery Field Day in Park Hill, OK instead. 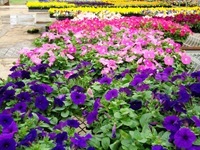 I have a some pictures to post for you. 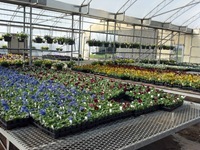 They have a very impressive operation. 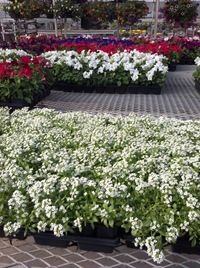 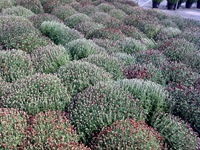 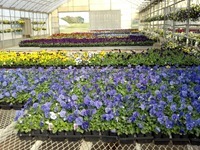 I have driven by there several times but have never been on a tour of the nursery. 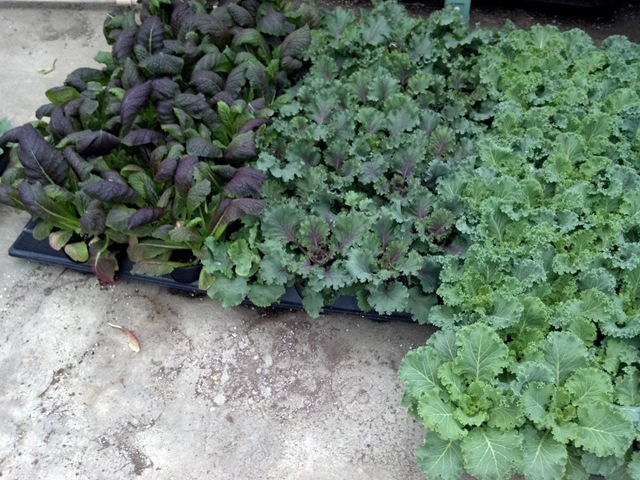 Thanks to Greenleaf for their hospitality. 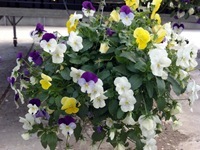 I will be out of the office tomorrow and Monday so you get an early post. Basically the numbers we have on the availability are what we have left for fall so please take a look at that. 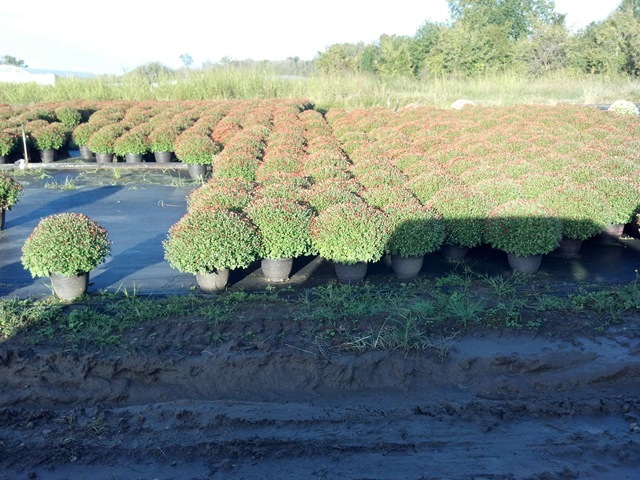 Before you do, here is a video and some pictures. 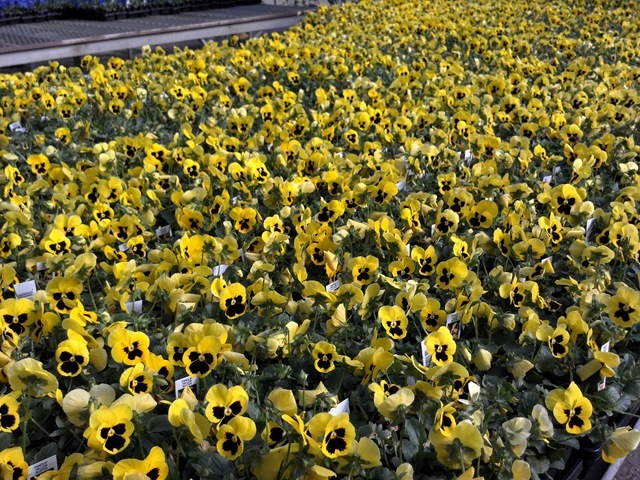 Okey doky folks. 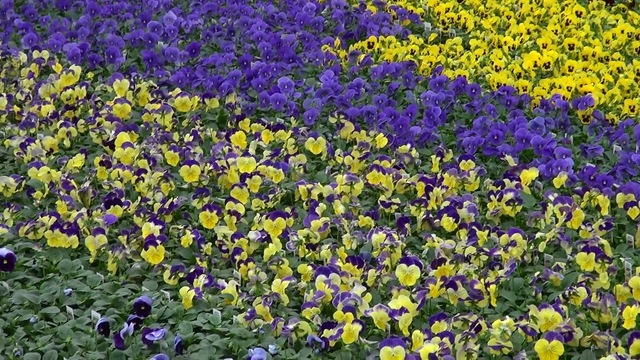 I hope you all had a good week. 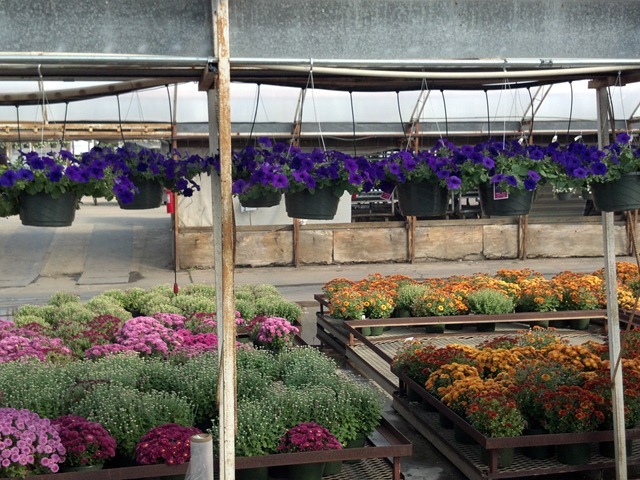 We are moving along through fall fast. 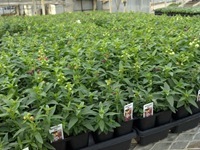 Soon we will be into Poinsettia season. 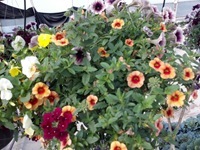 I want to apologize if you have had problems getting our website to load. We have been experiencing some technical difficulties. 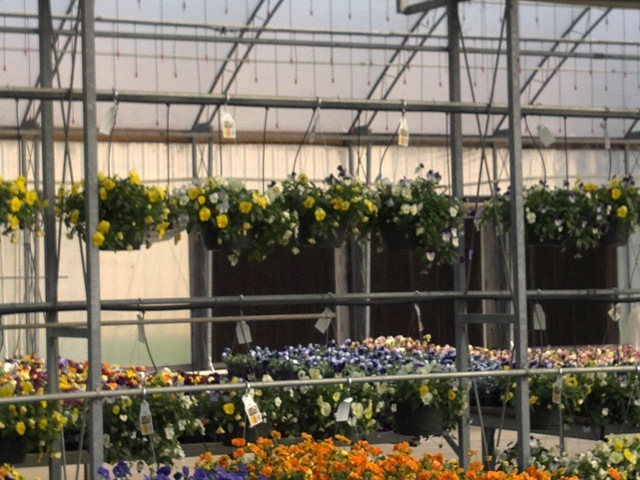 Apparently, we have a big website that needs additional RAM that was not allocated to our domains. 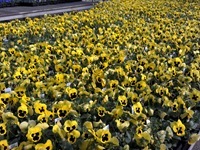 We are working to resolve this now. 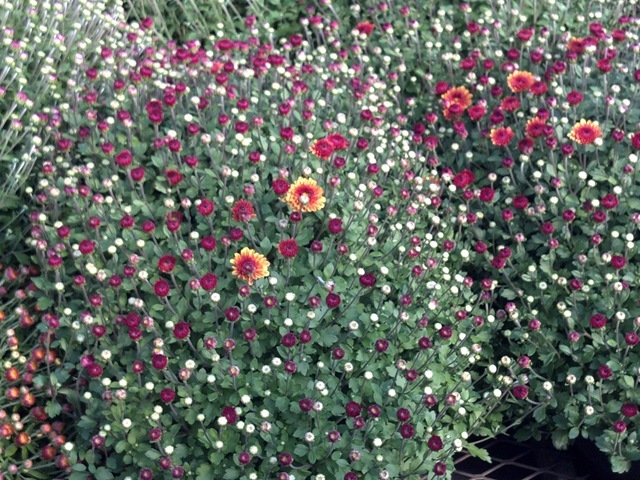 #8 Mums – what we have on availability is pretty much it. We might be able to scrape up a few more pots here and there. 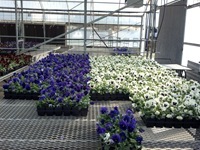 We have everything from Cracking Purple to Good Color White available. 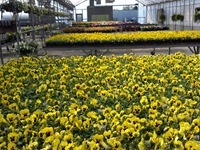 #12 Mums – what we have on availability is it too unless we get a cancellation. 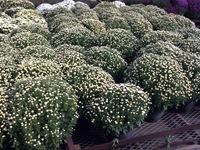 Even though we are getting to the end of our mums we still are shipping Cracking Buds with some Buds/Light Color on the White which means that you will have good shelf life on them. 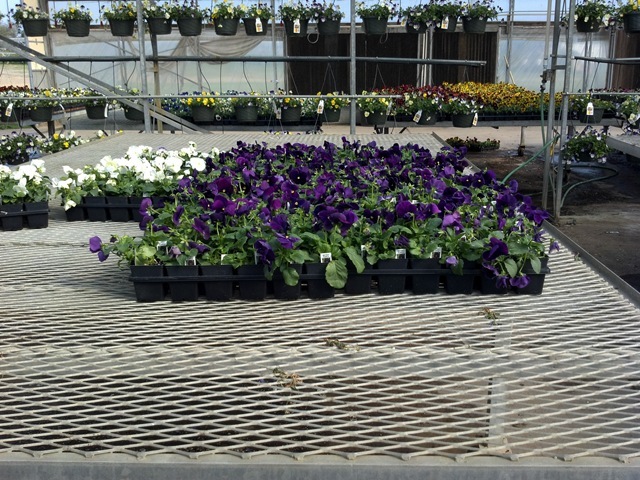 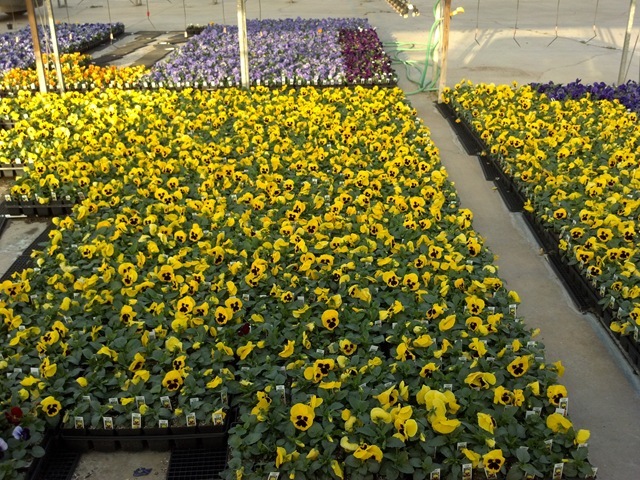 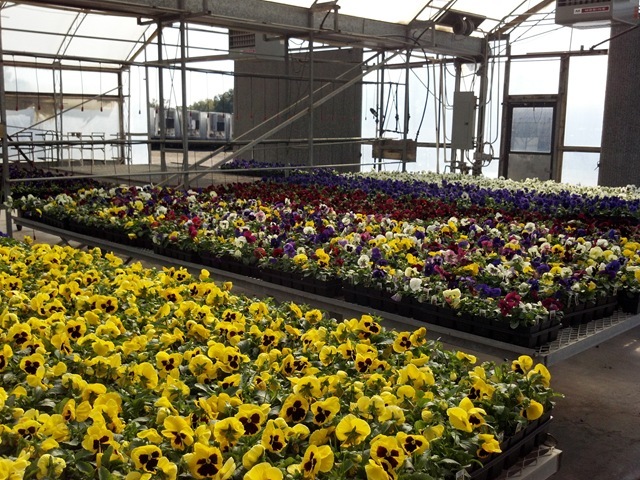 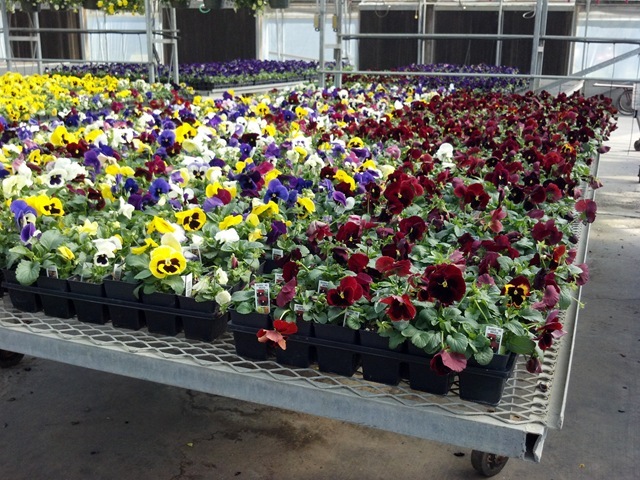 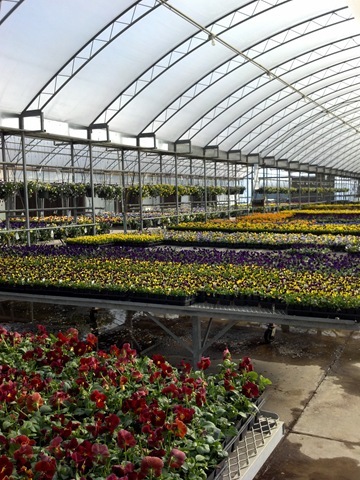 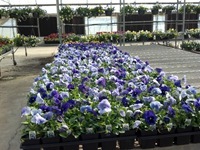 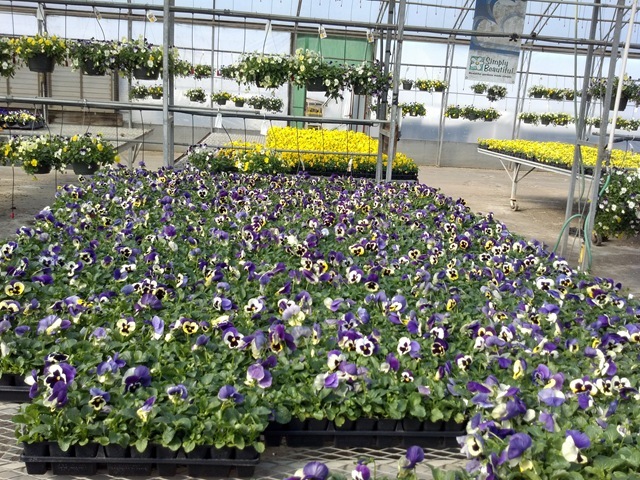 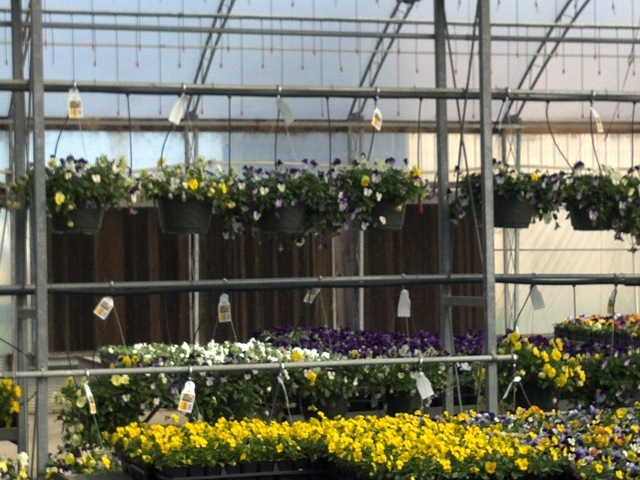 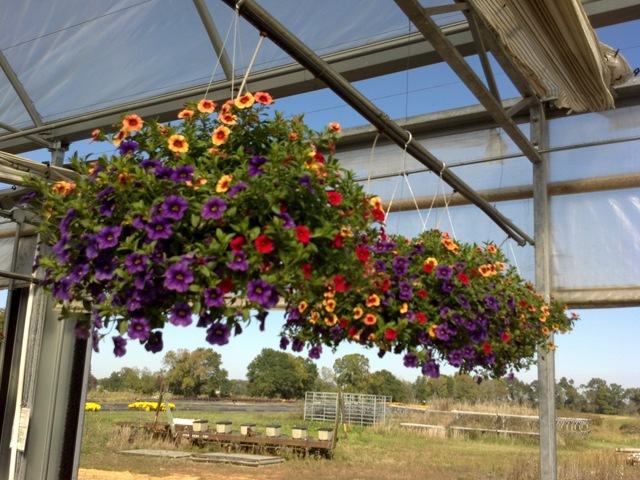 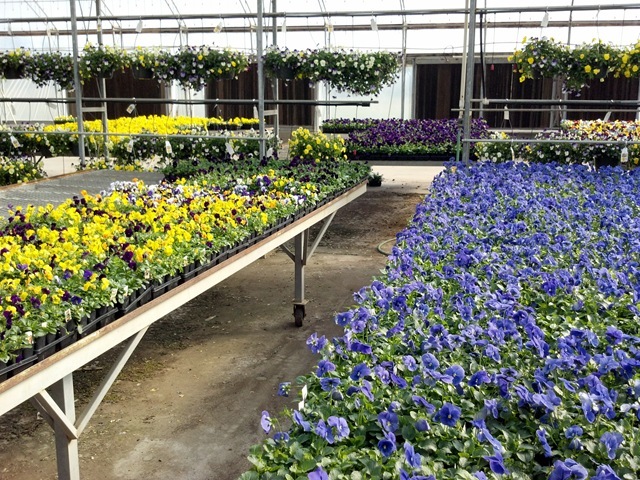 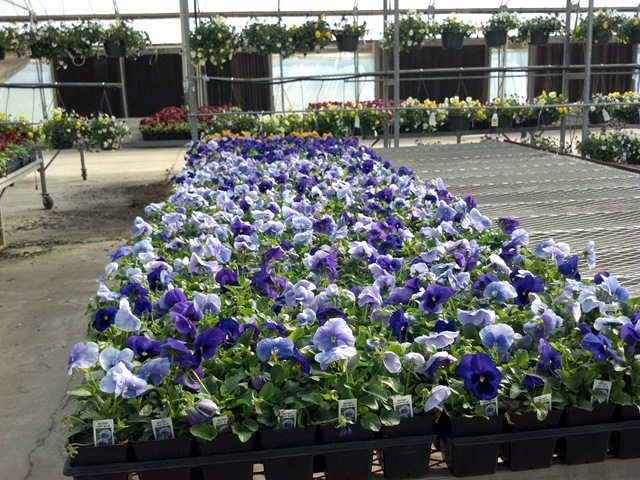 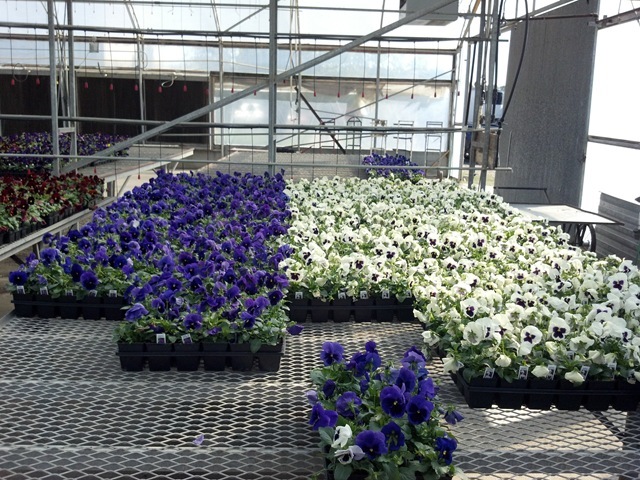 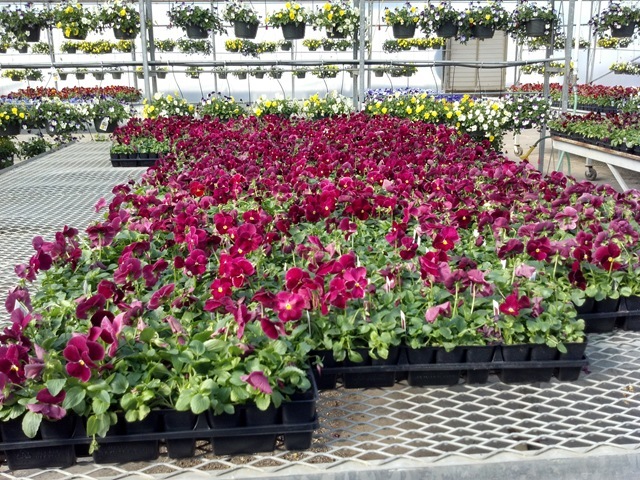 #4 Pansies – we will be pulling from the last two crops next week. 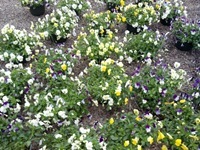 They are rooted but there is still some dirt showing on some colors. 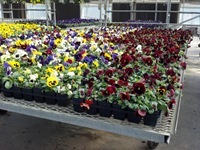 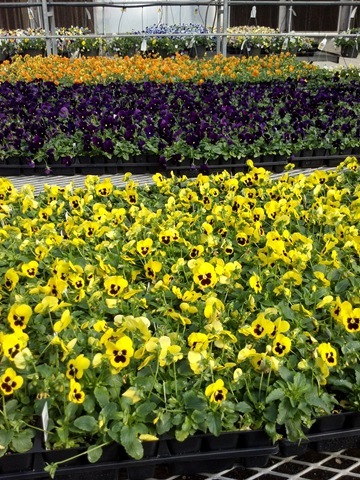 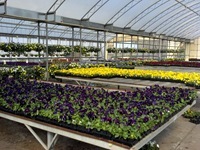 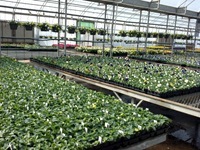 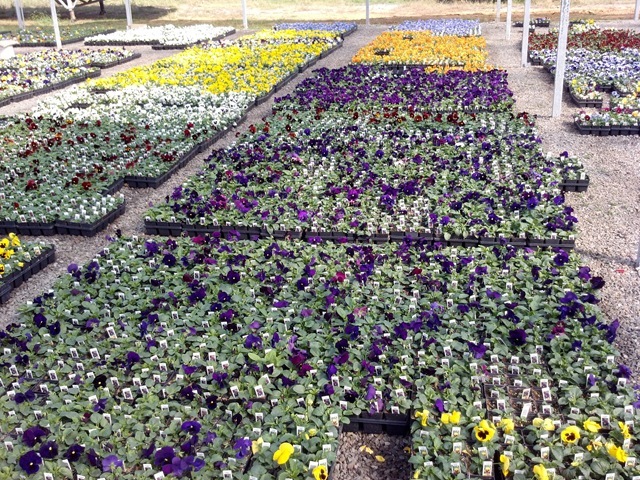 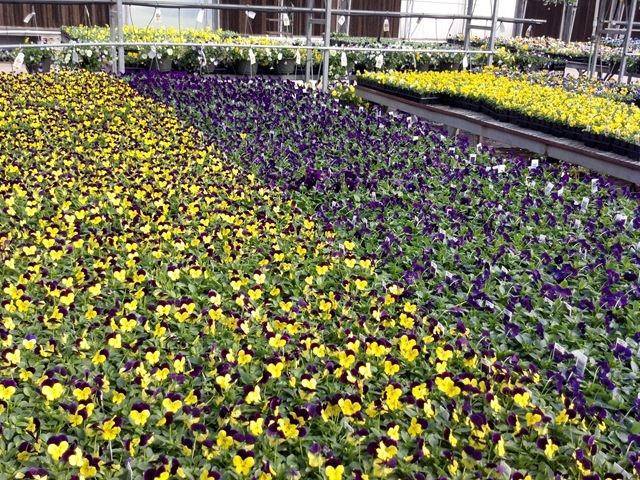 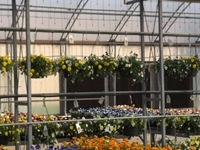 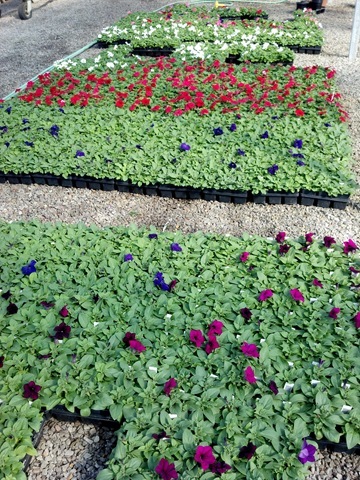 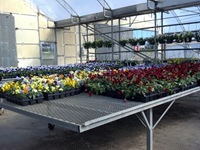 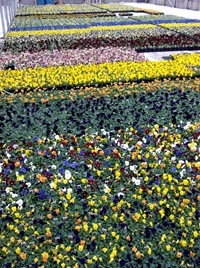 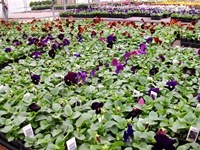 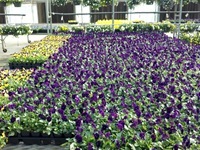 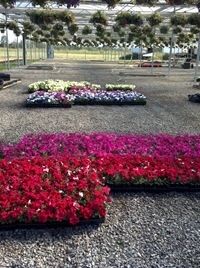 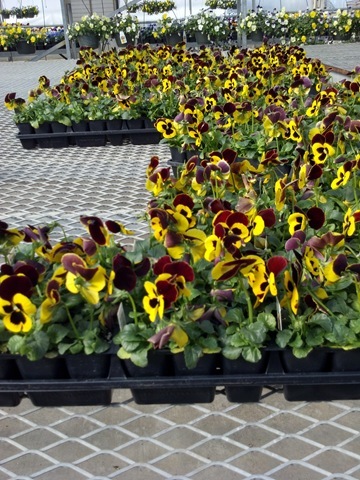 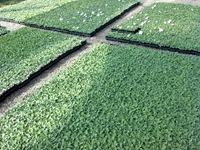 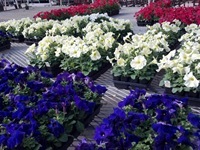 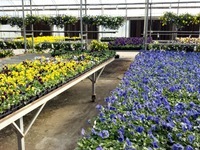 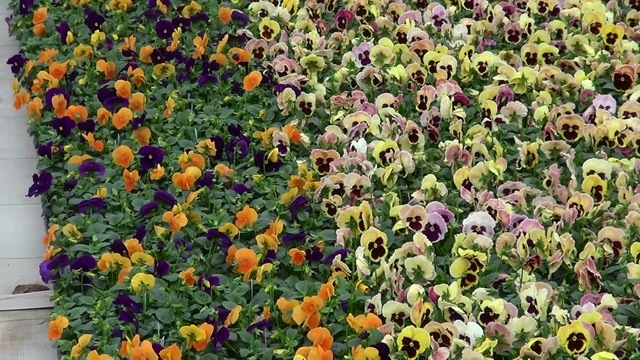 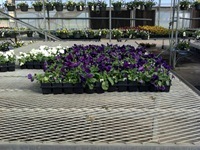 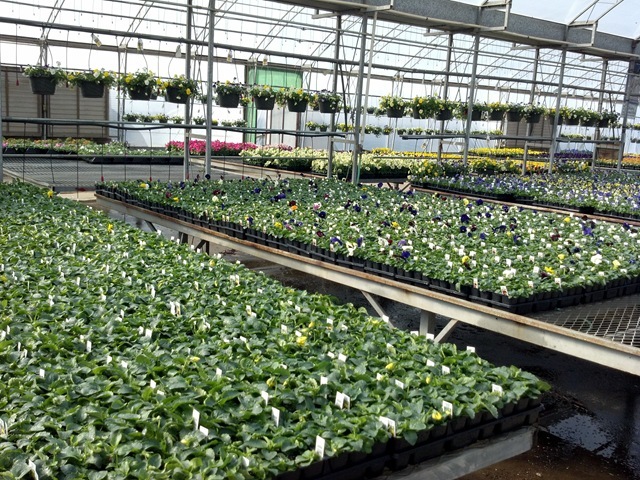 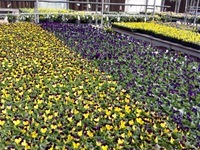 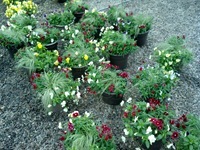 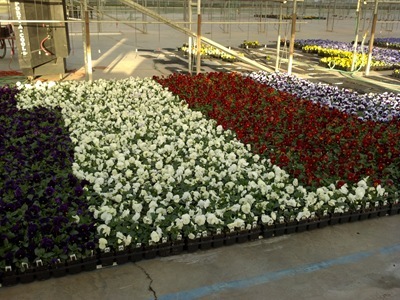 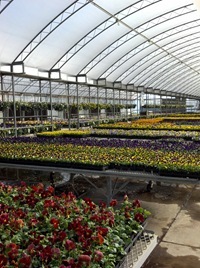 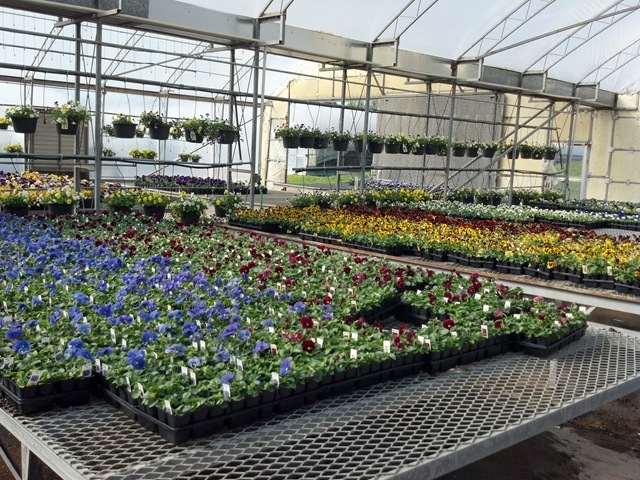 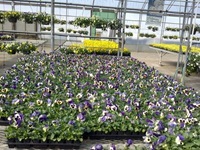 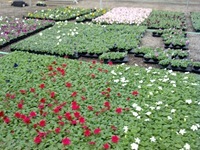 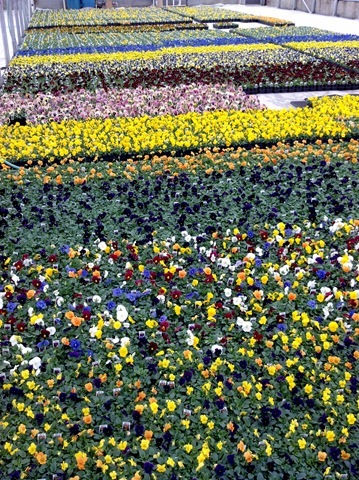 J6 Pansies – we are into the next to last planting on all items and into the last planting of violas. 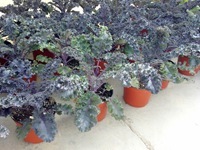 Since we into both crops a little early we have availability ranging from Buds to Good Color. 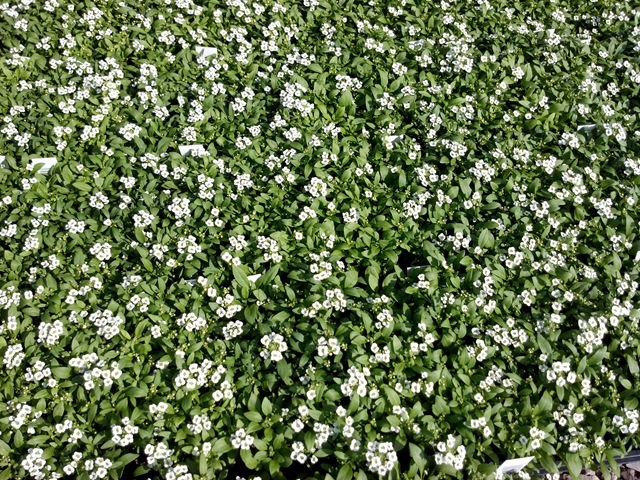 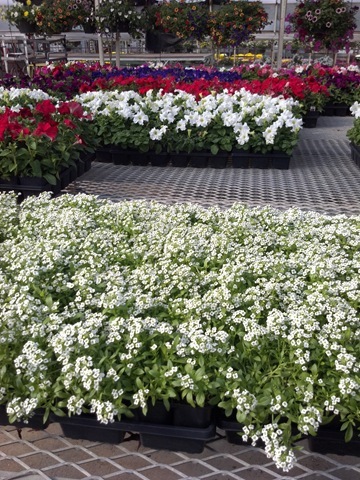 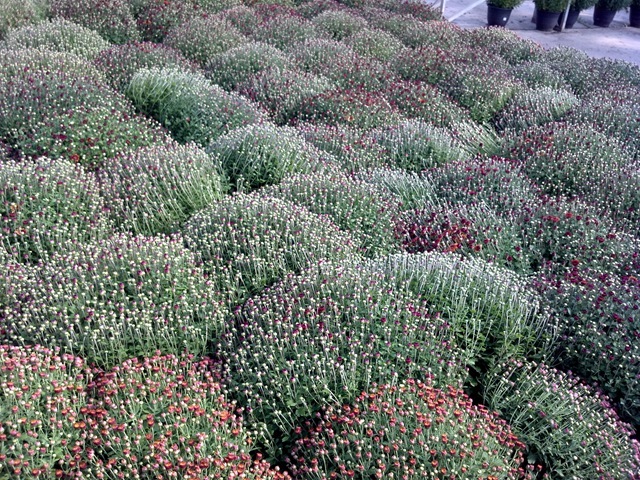 Alyssum – into the last planting. 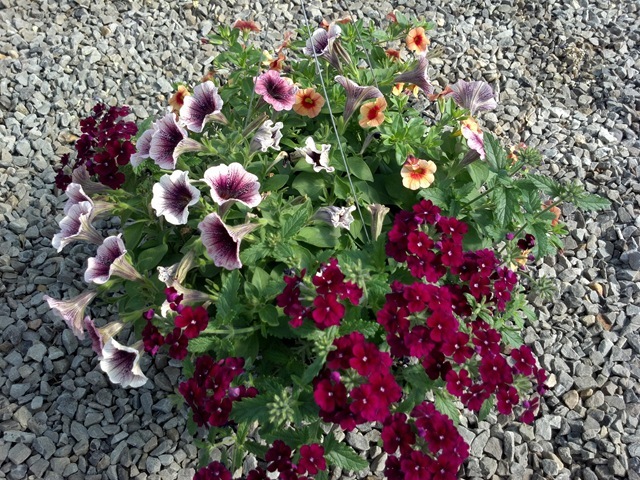 For some reason our purple bloomed white. 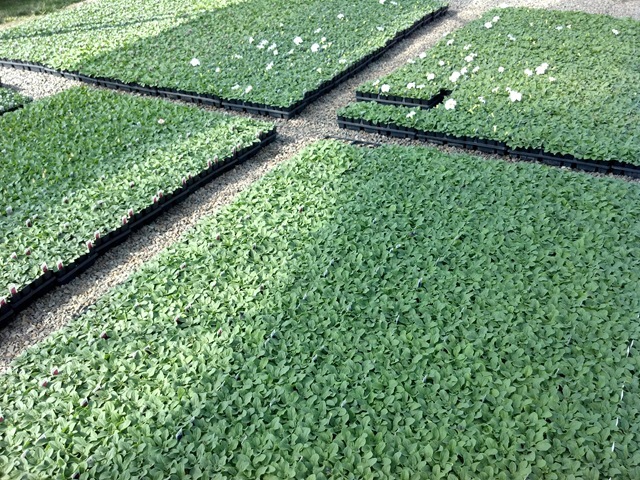 I guess our plug supplier got something crossways. 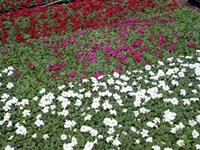 Dianthus – out except for a few flats of Crimson. #6 and #8 Kale – good availability. 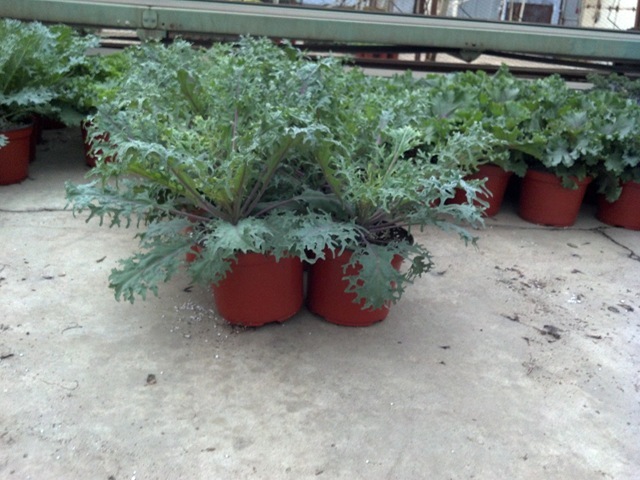 Ask us about our SPECIAL ON #8 RED BOR KALE. 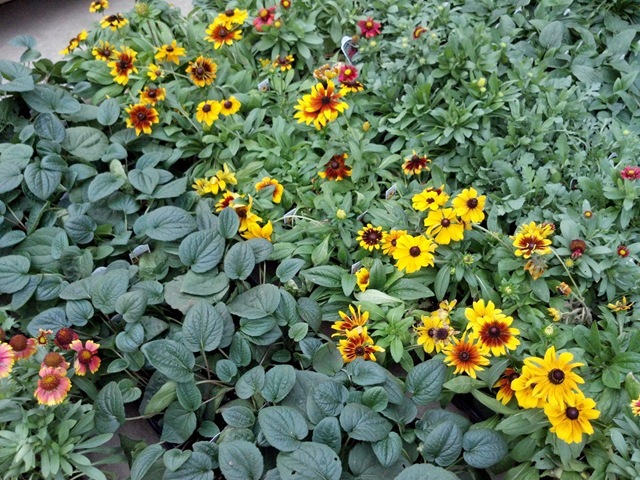 #10 Fall Baskets – our Foliage, Dreams Petunias, Cool Wave Pansies and Confetti Garden baskets are all ON SALE. 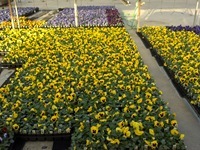 Check out the availability for prices and our pictures below. 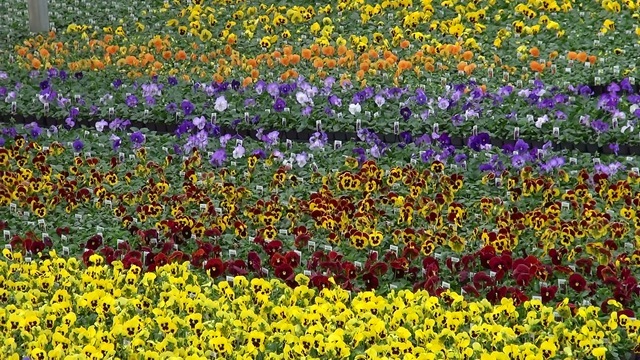 Big weather change this weekend. 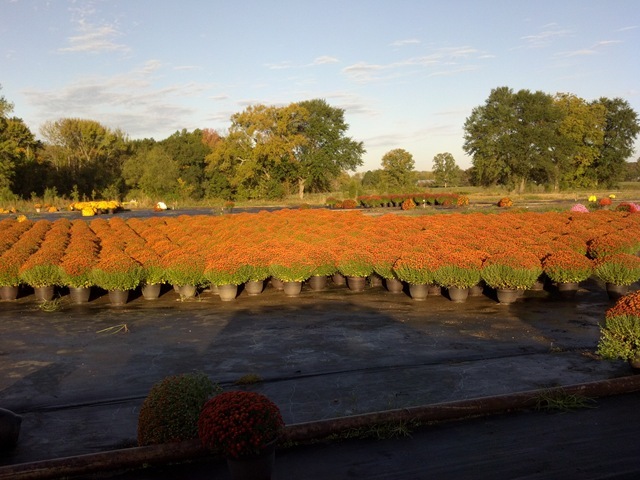 Looks like fall is really here. 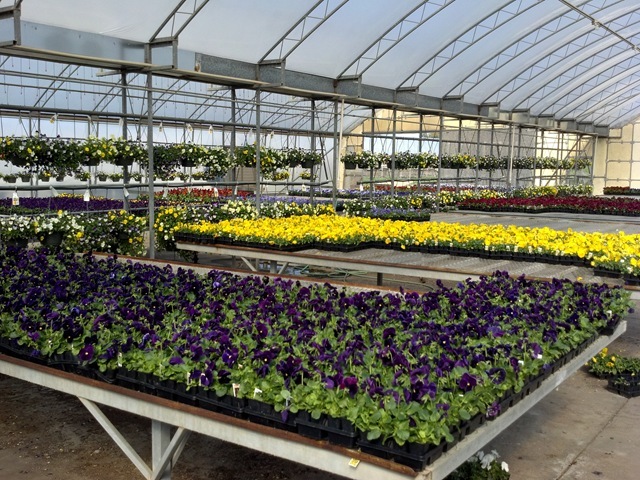 Some of you may be in for a frost so be sure to take precautions with any of the tender plants you might have our on display. 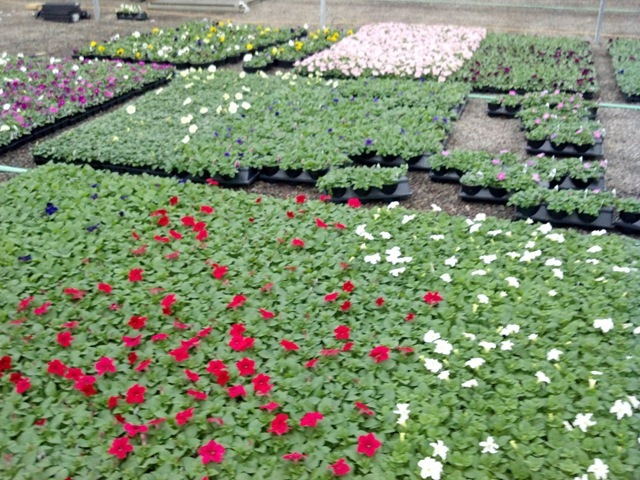 Mums have blown out the doors this week. We are down to the last of both our #8 and #12 mums. 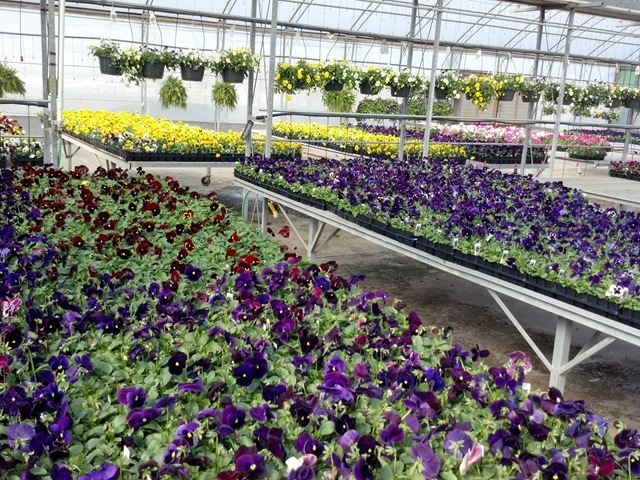 Despite being down to the end, we are still shipping Buds to Cracking color on most of them. 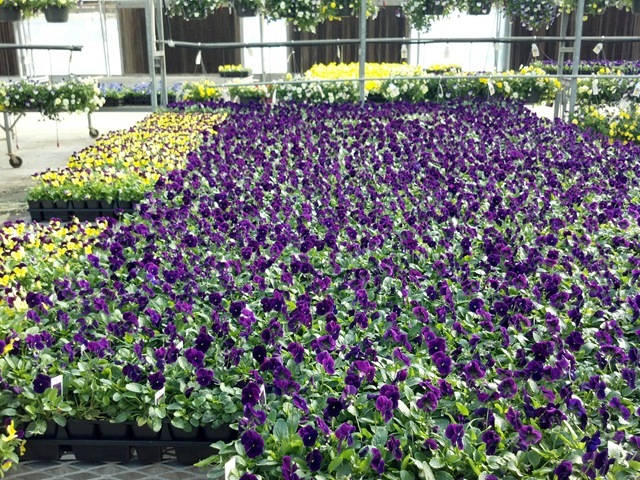 There are a few with Light Color that are left that will go out on Monday. 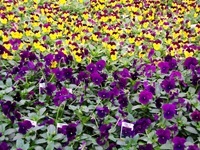 Over all this has been a great year for mums for us so far. 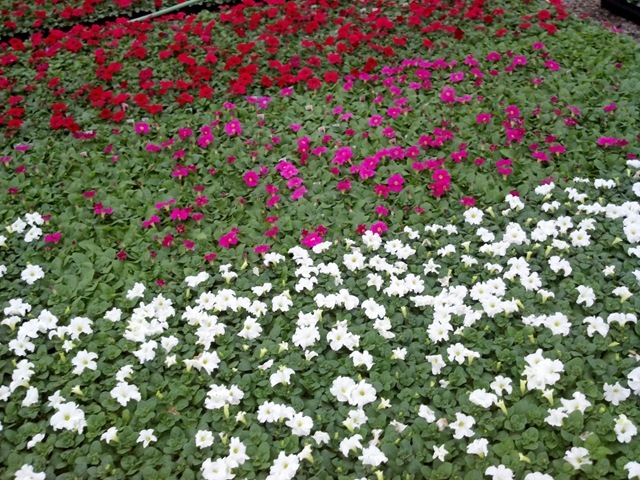 I hope that you are having just as great a year. 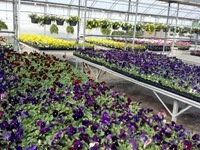 Pansies are moving well too. 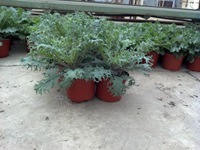 We have a lot available but will be sold out of a few colors next week until the next crop gets ready. Be sure to check out the video on the pansies. 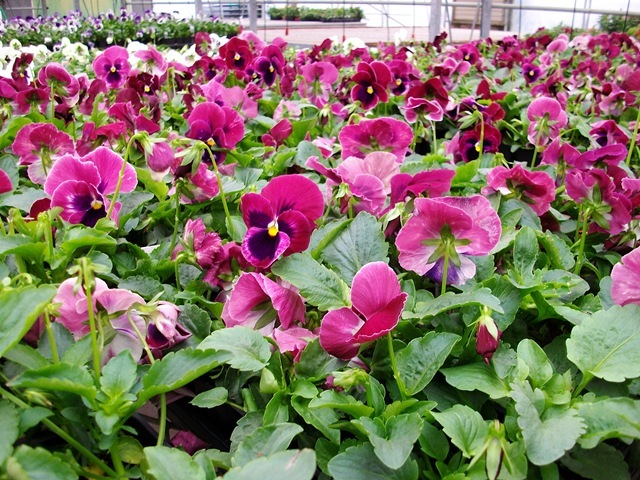 Panalos are basically super Violas. 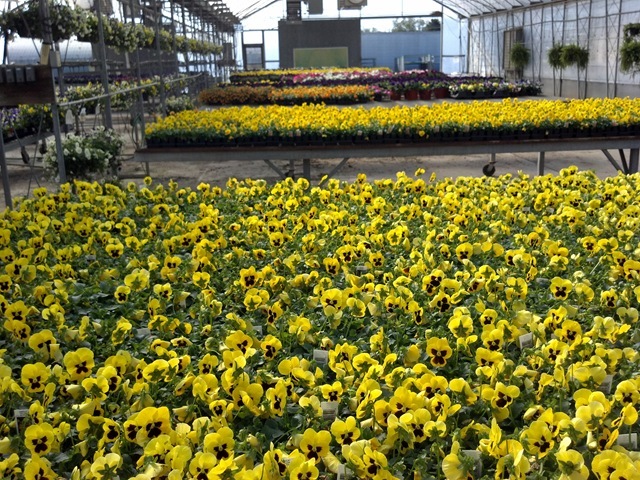 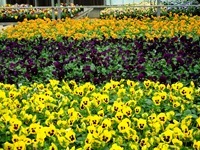 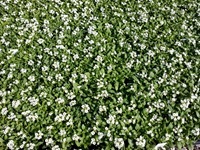 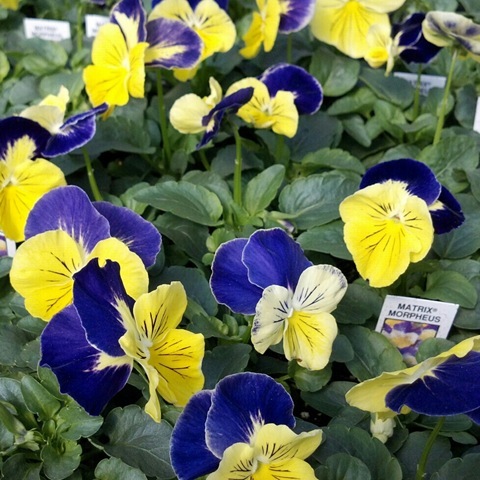 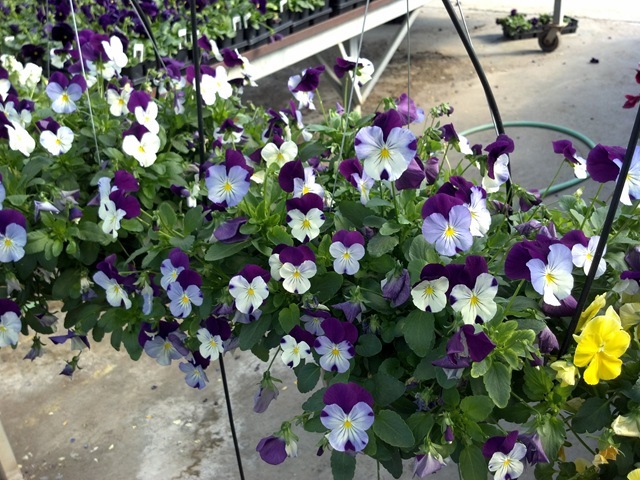 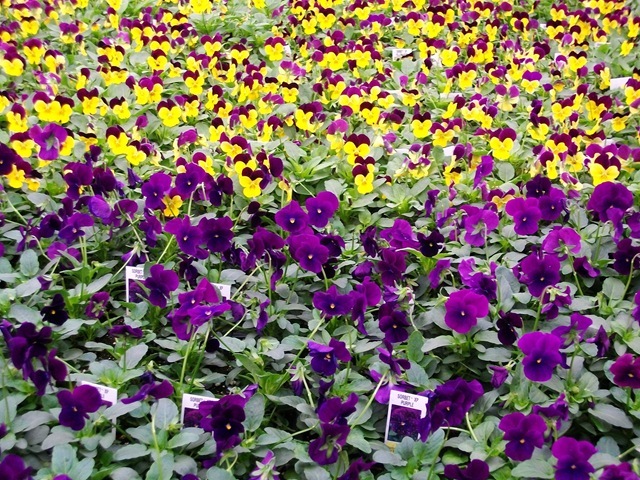 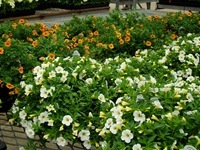 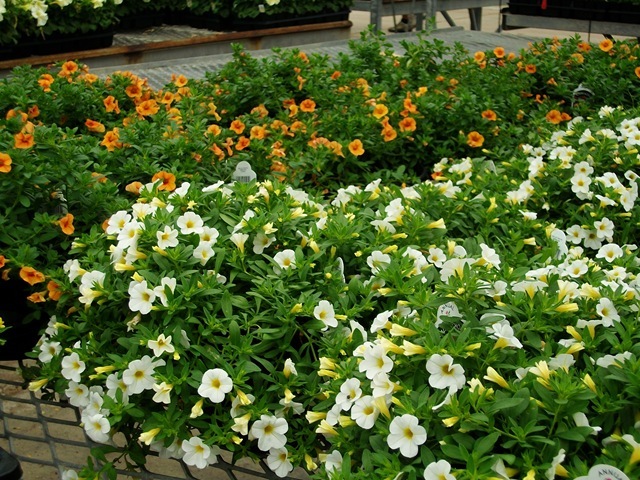 They have a larger bloom and the same cold tolerance of violas. 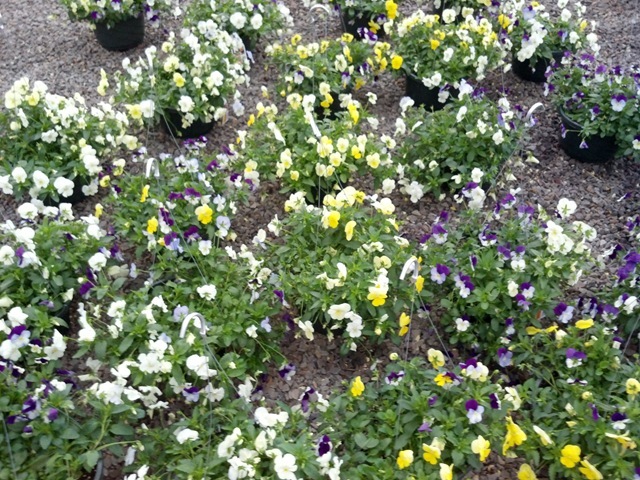 Violas have lots of color too. 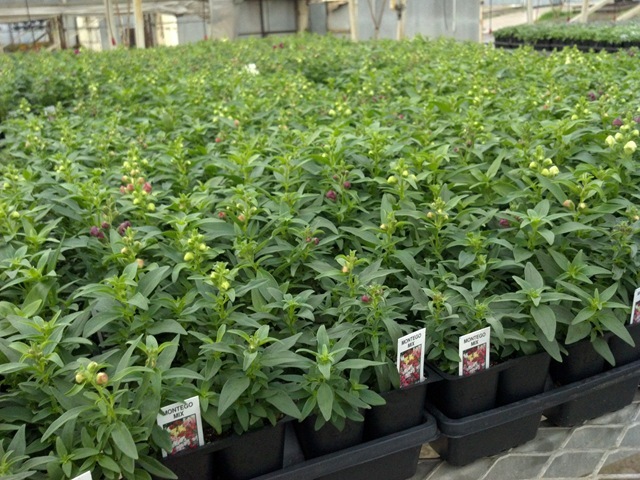 We are into our last crop of J6 Snapdragons that have Buds now but should have some color out by Monday. 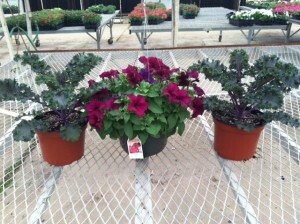 Our next crop of Dreams Petunias in J6 and #4 and our next #6 Wave Petunias. 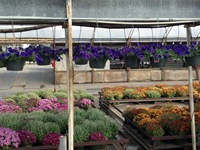 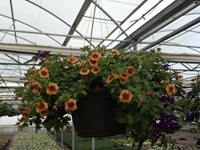 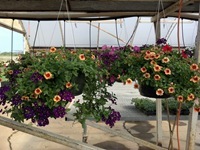 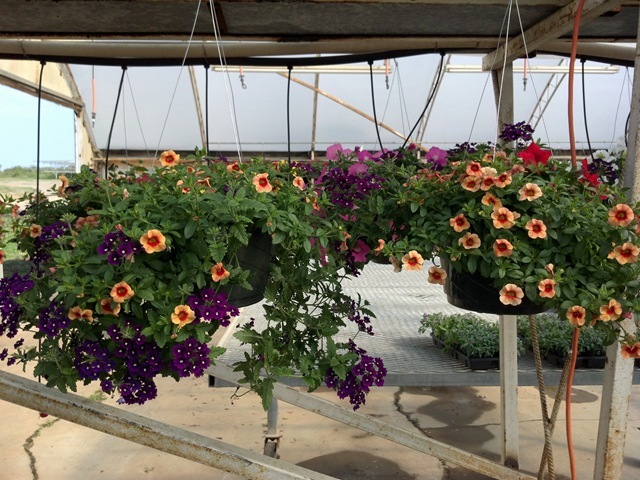 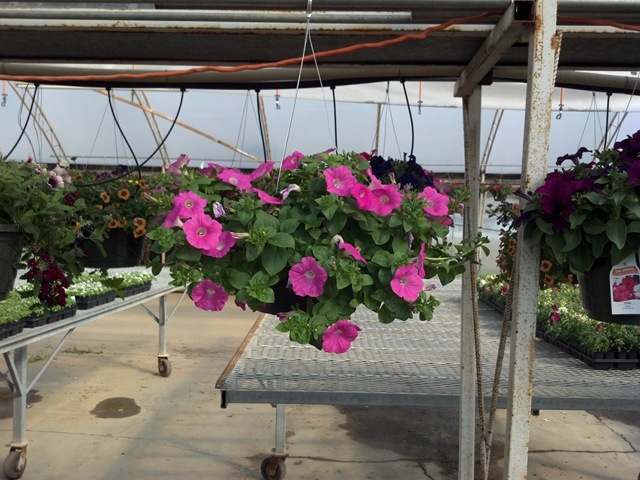 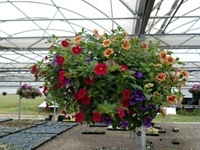 Confetti Garden baskets come in colors that are fall compatible like the Hawaiian Luau with purple read and orange calibrachoas and Afternoon Delight with purple vein petunias, burgundy verbena and orange calibrachoas. 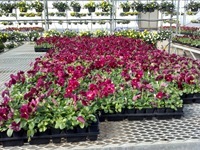 We finally have some Cool Wave Pansies available. 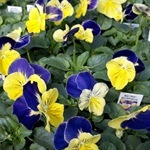 These come in Mix, Yellow and Violet Wing. 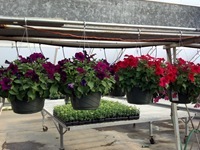 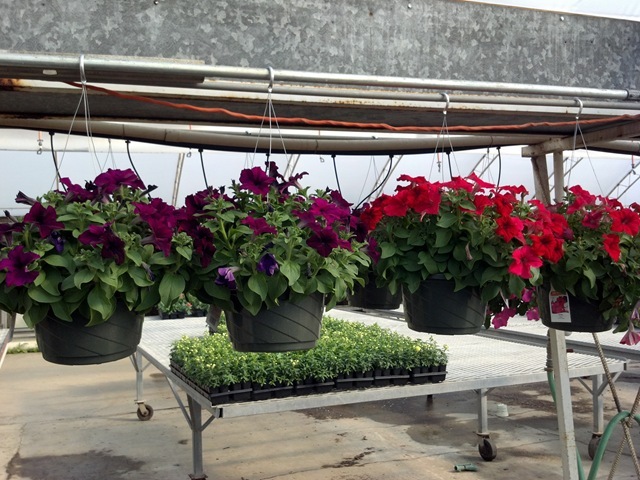 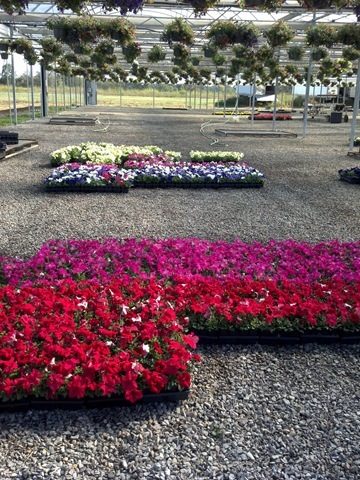 We have a few Wave Petunias and Calibrachoas in #6 pots with Good Color. 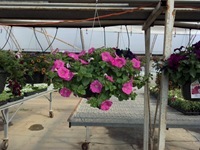 This is the last of the Calibrachoas but we have one more crop of Wave Petunias. 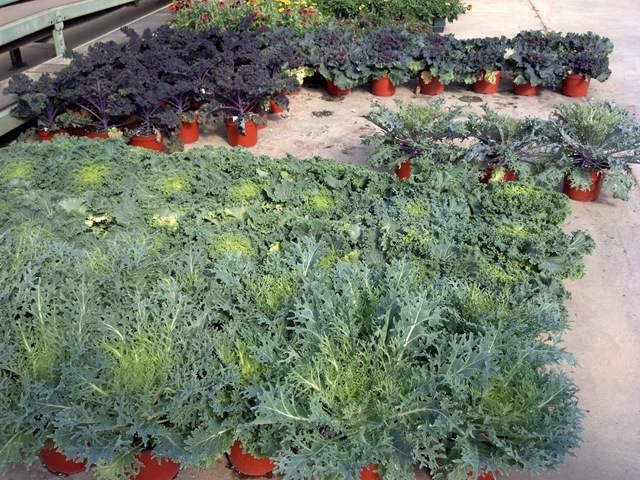 Great looking Cabbage, Kale and Mustard! 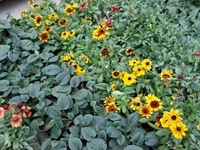 We also have a few deco combos left over from a custom program, and we still have some great looking fall perennials.